SNOWPAD is an opensource capacitive multi-touch trackpad designed for Arduino and microcontrollers. You can directly plug Arduino Micro onto SNOWPAD. In addition, it has an external I2C interface so that a user can easily connect SNOWPAD to any microcontroller. Its touch sensing feature is based on mutual capacitive sensing which are popular in modern smartphones and tables. Unlike other trackpads, this product detects 10 touch points simultaneously and outputs ID, x, y, up/down status. So, it is a perfect tool to build a custom multi-touch devices. With SNOWPAD, you can create a great devices such as multi-touch trackpad, keyboard, musical instruments, etc. Or you can use this product as an input interface to your Arduino or microcontroller projects. We provide well documented examples. For example, you can instantly turn SNOWPAD into a multi-touch trackpad! Click Download ZIP and unzip the downloaded file. You will find two foldrs arduino and processing. 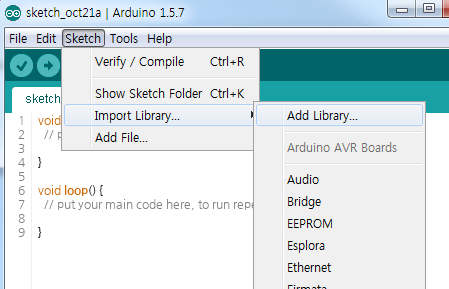 arduino folder contains Arduino library for Snowboard and processing folder contains example PC applications. Arduino Micro can be plugged on top of the on board socket. Snowpad's external I2C port is compatible with that of Snowboard. Connect other microcontroller by using the external I2C port on Snowboard.